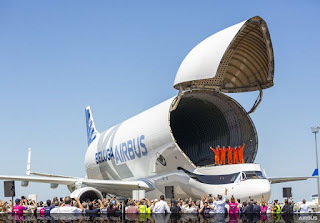 The new massive transport aircraft from Airbus has taken to the skies for the first time last week and was a massive success. 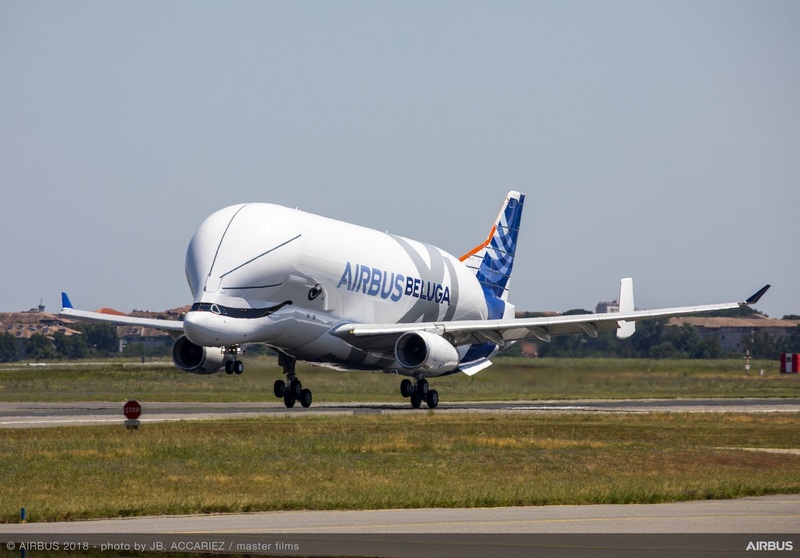 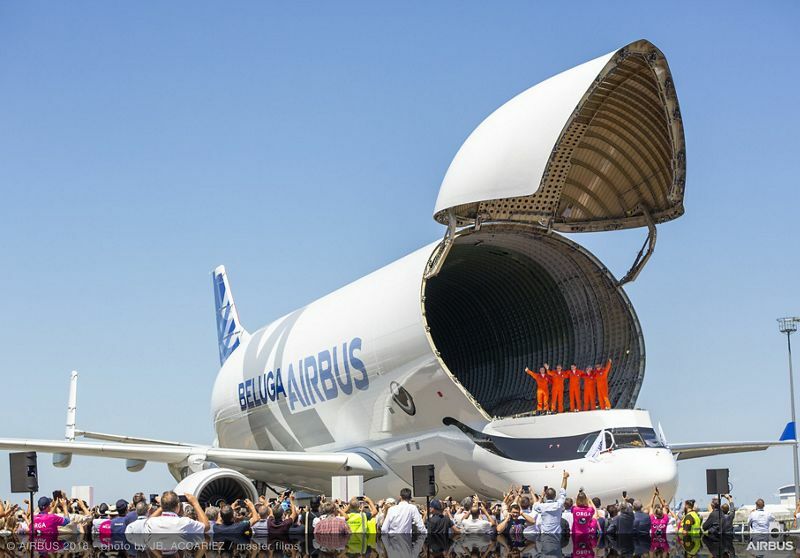 The BelugaXL's first flight lasted four hours and eleven minutes and was under the control Captain Christophe Cail, Co-Pilot Bernardo Saez-Benito Hernandez and Test-Flight Engineer Jean Michel Pin. 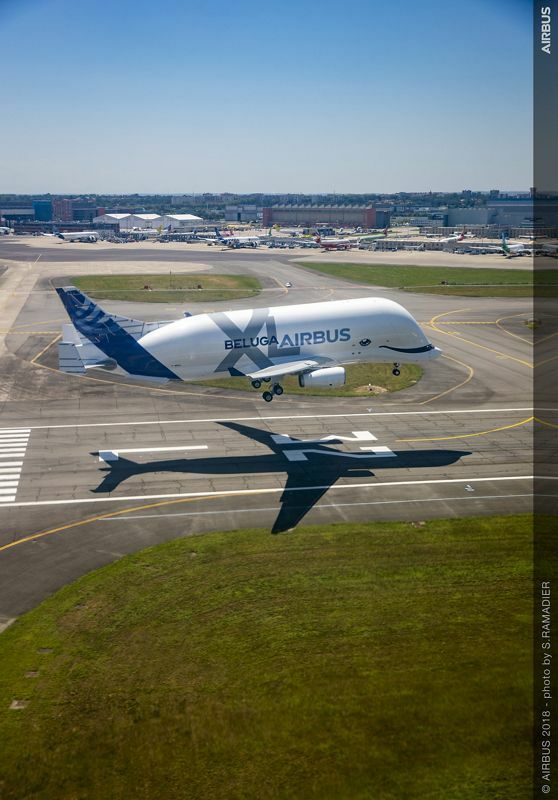 Meanwhile, monitoring the aircraft systems and performance in real-time at the flight-test engineers (FTE) station were Laurent Lapierre and Philippe Foucault.